I love the banner! These fabrics are beautiful too. I have loved all the fabrics you have shown. Thank you so much for the awesome Blog Hop and giveaways. I forgot to say that my favorite colors to decorate with are red and gold Thanks again for the giveaways. i have always loved the traditional red and green, but am really liking all the aqua i am seeing. That is wonderful - a great hanging for the holidays. I am a red and green Christmas person, but prefer the forest green with a darker red. Red and anything else ... lol or a dark green and something else. 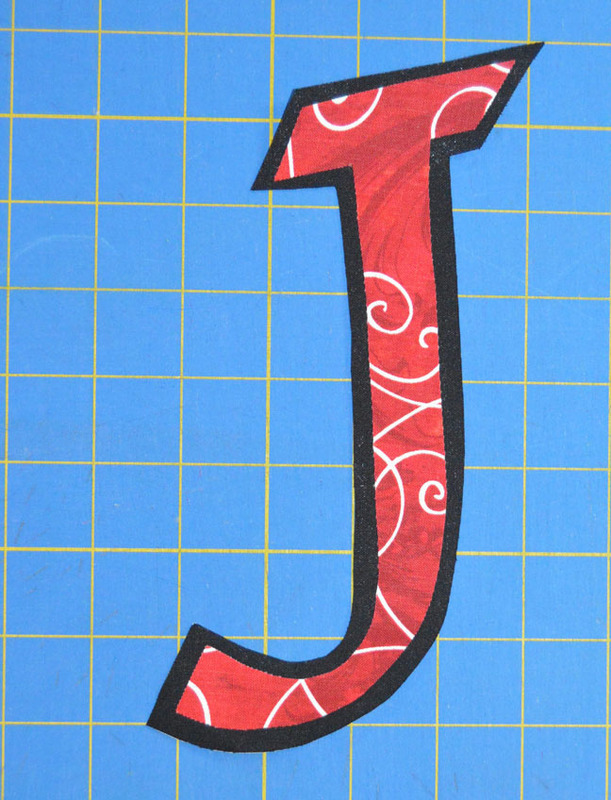 I love Christmas crafts so almost any color makes me happy. I had trouble with the aquas but they have definitely grown on me. 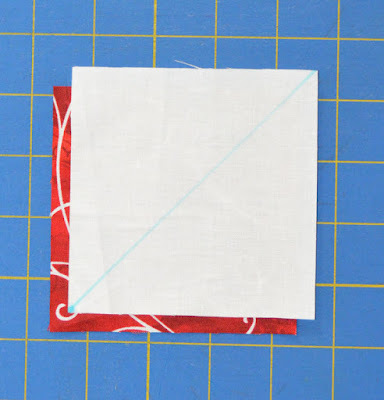 I will be making this banner. Thank you. 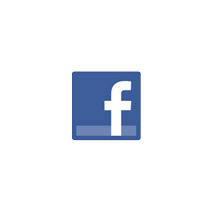 I like the traditional red, green, white, but I also like white and gold. I like red and silver. I've also enjoyed blue and silver on the years this combo was available. This is cute. I love the font you picked for the letters. I still love red and green with gold, but also have a fondness for blues and silver. Thanks for the fun this week. Oh so lovely! I love blue and silver! I like blues, white and silver. Although traditional red, green and gold is pretty too. Reds and greens are my favorites with some silver mixed in. I decorate with read and greens so I can say that is my favorite. Beautiful banner, thanks. I like varied shades of green, with a little yellow. I like blue and white, with a bit of silver. Just seems wintery to me! 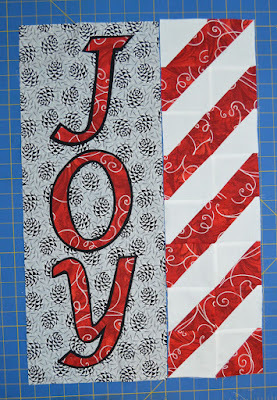 I have been using white with a small holly print, then red and green works for me. I like the winter look of the fabric. Guess I'm old fashioned; I still like red and green the most! 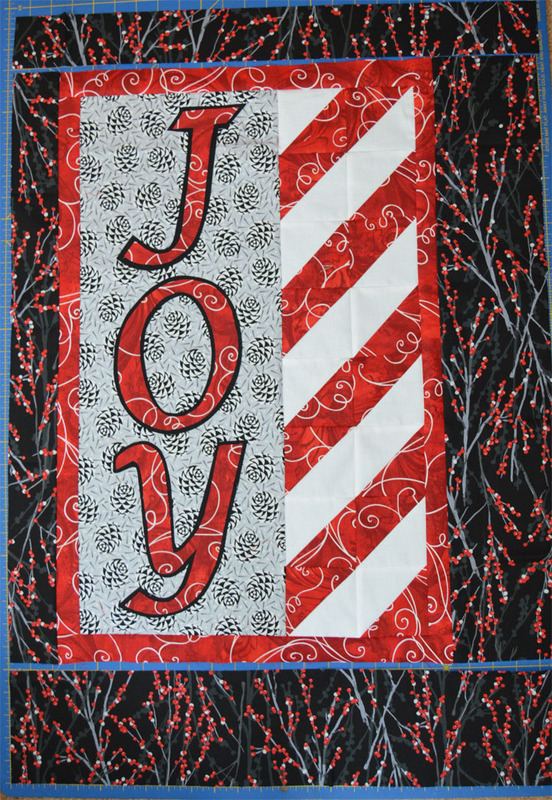 Love the Joy banner! My favorite holiday color combination is red & gold. I love to use green and gold with red. I like red, green, silver, and aqua for Christmas. Thanks for the great tutorial. 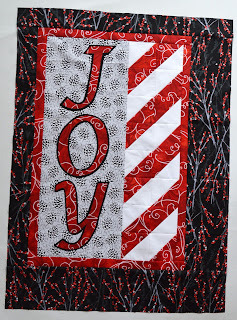 Traditional red & green, but I'm loving a little punch of black lately too! I love the banner! 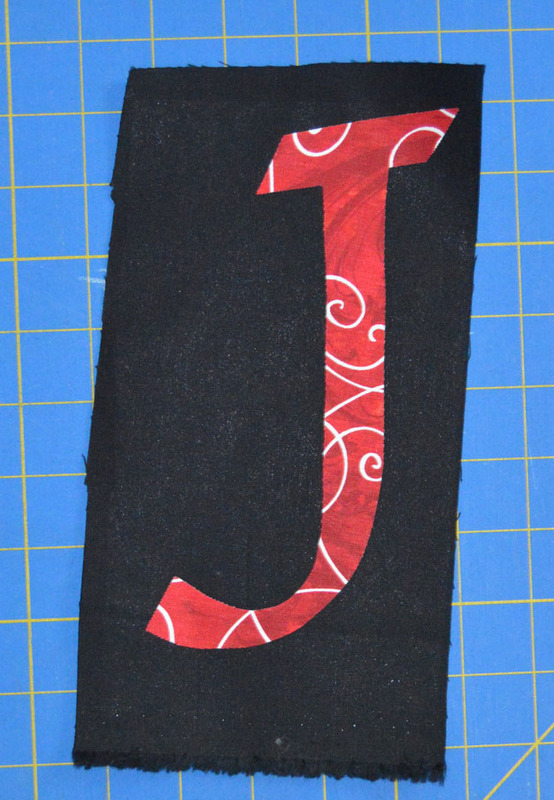 My favorite color to use is red and I think my favorite combination is red/black/gold. I also like green/black/silver. So hard to decide! Oh, I love your door quilt! I am very traditional using red, green, and white. I like red and white. It seems so wintery. I like green with it sometimes. It just depends on what color of green it is. I love this! 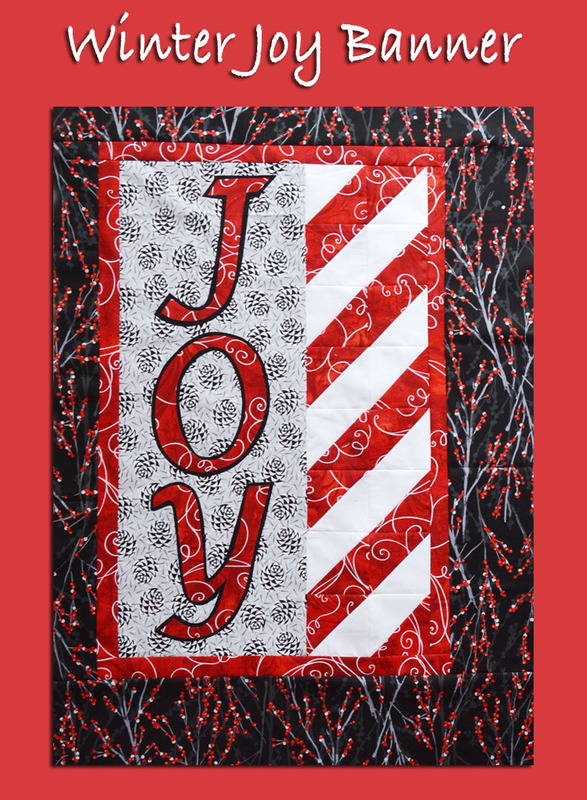 the red fabric just sings Christmas season! Cute banner! 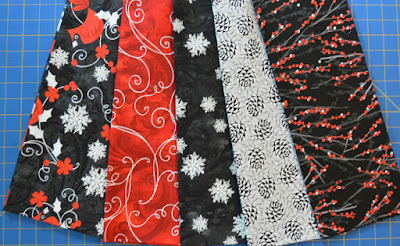 I am an oddball.... red is not a favorite color so I really like the aqua's that I have seen in Christmas fabrics lately. Also like blue and white. I love blue and silver, a touch of white for snow. I like darker reds and green for Christmas. I like the traditional reds and greens. Thank for the hop! I prefer the darker reds...winter berries and the birds are gorgeous! I'm traditional but the silver and blue is very pretty! Love the banner. Thank you for the tutorial. I like the darker red and greens for Christmas colors. I like the lighter shades of green, mixed with deep red and silver. Nice wall hanging tutorial. Thanks! this is such a cute wall hanging. 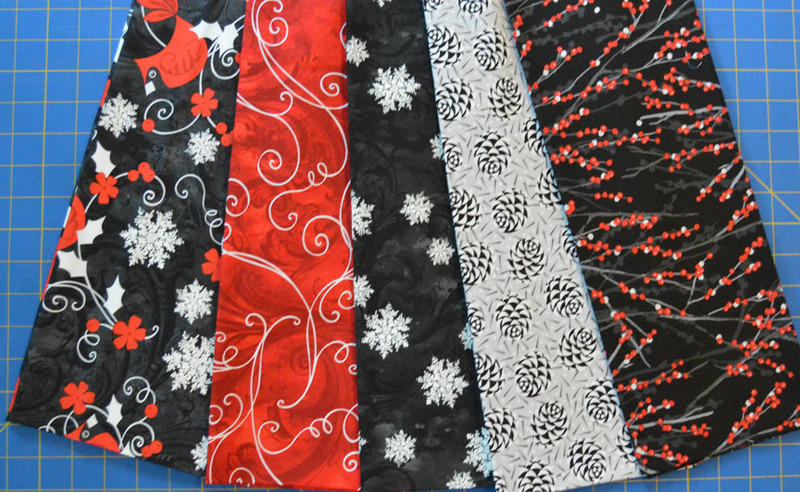 These fabrics are so pretty! Blue and silver is my favorite combination for Christmas. These colors would work all winter long. I like red and white together for the holidays. I have always loved traditional colors! I usually do the traditional red and green, but I'm really liking the blacks and blues that make a little more elegance. Very cute! I like cranberry red! I love the metal tones- silver, gold, copper and bronze. We have a tree decorated in these colors and I love it! Silver and blue, or red and gold. I'm pretty traditional. My favorite will always be red, green, and gold. Still trying to get my head around pink, blue, and silver at Christmastime. Reminds me of the metal Christmas trees when I was very, very little, the silvery ones...still not my style. Give me red, green, and gold any day. 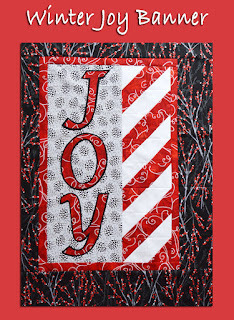 Such a pretty banner...one that reminds us all of the JOY in the season! I really like Christmas colors of any kind, but lately it's light blue and silver--like a frosty winter day. Red, green and white are my favorite Christmas colors. I like traditional Christmas colors - red and green with some sparkle from silver and gold! I like red and green but honestly I love every color. The brighter the better in my book. My favorite colors for the holiday are red and green with a little blue thrown into the mix. dquilterguy48329 (at) prodigy (dot) net . I love white on red but have a fondness for anything that sparkles. I like Red white and gold to decorate for Christmas. I love the traditional colors red, white, and green but love to have the greens in brighter shades. I bought some fabric in it last year, that had aqua and silver in it. I really liked this combination, and have been trying to replace some decor to reflect those colors. My favorite Christmas color combination is the traditional red, green and white. Thanks! A very traditional read and green with touches of gold is my favourite scheme. I love blue, green & silver for Christmas! Red, green and blue. And of course some white with snowflakes on it. Thank you for the giveaways. I love the banner. I love the modern combo of red, lime green and aqua! 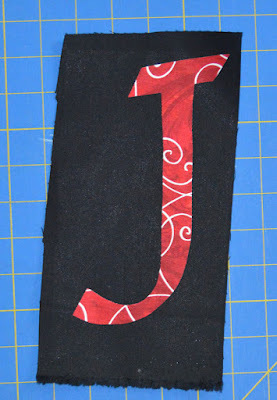 The project is super cute, love how the black around the letters really makes them pop. 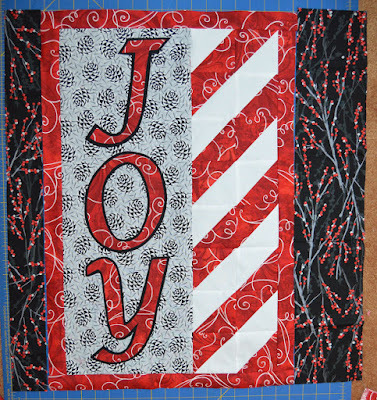 I love the JOY banner, thanks for sharing! My favorite Christmas color is...SNOWFLAKES!! So I usually make my snowflakes out of whites, creams, blues and purples, favorite colors for sure! 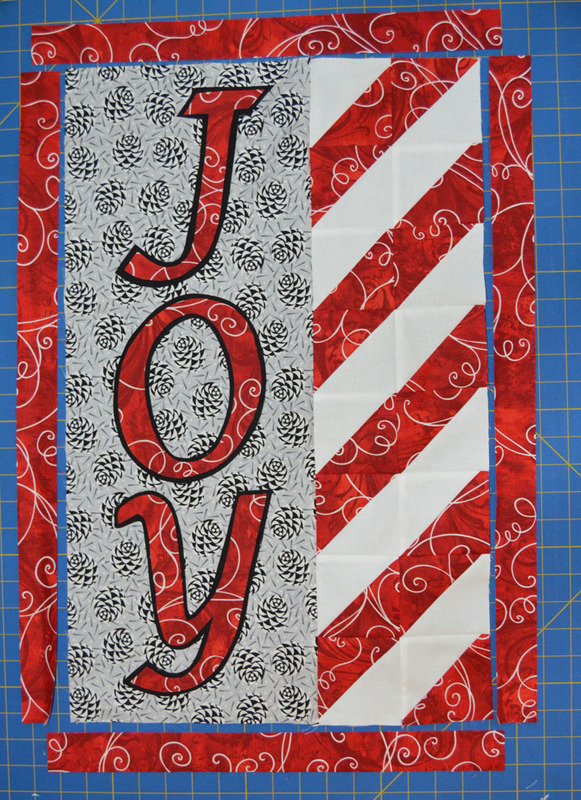 Lovely Joy banner! I love Red and White combo for the holidays! I like red and white or deep blue and white for classic Christmas colors. Anything with sparkle! 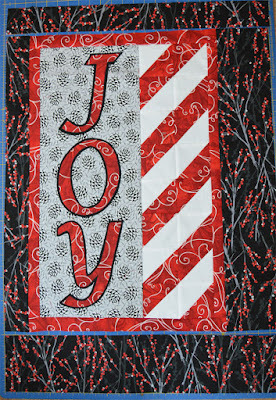 Love the Joy wall hanging. 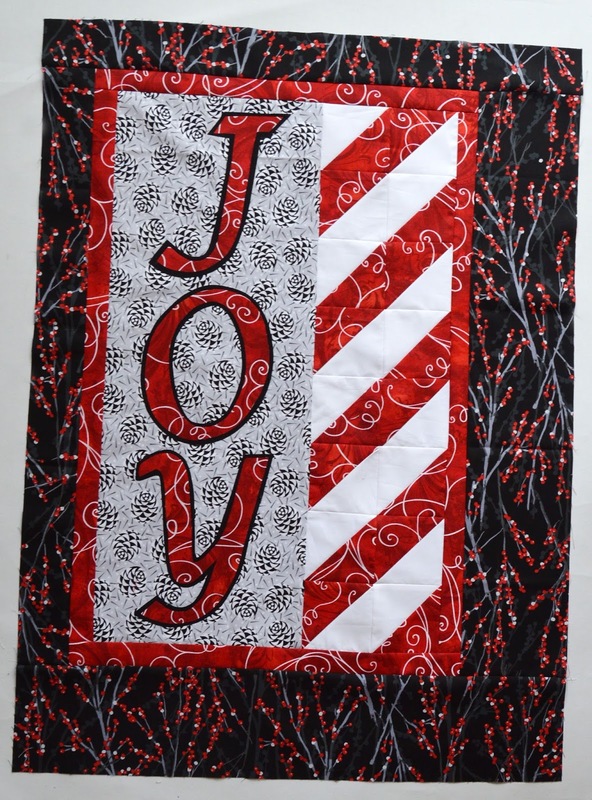 Thanks for the JOY banner - love it. 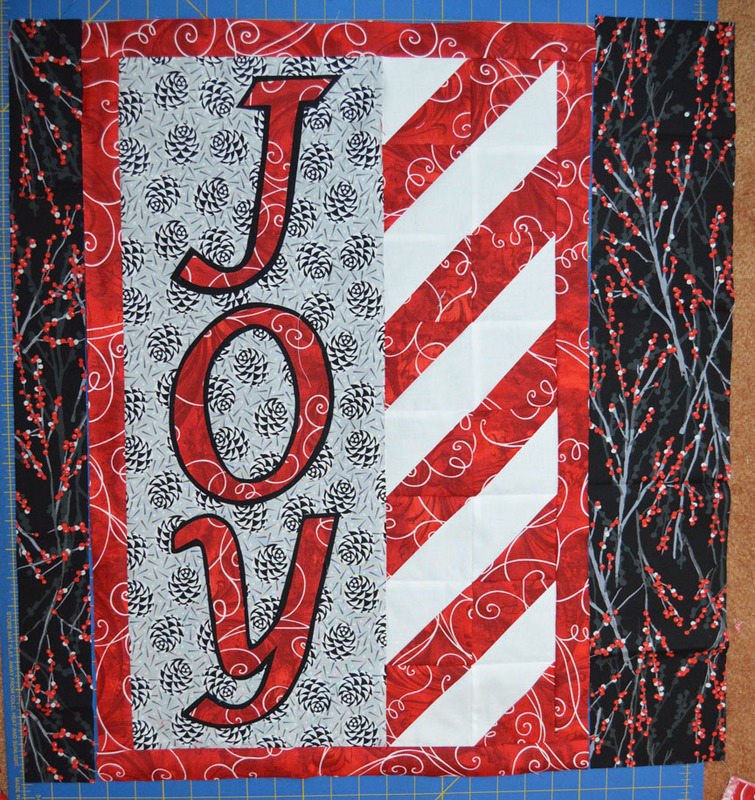 I like All greens and reds for Christmas with lots of white and silver. What a cute tutorial. 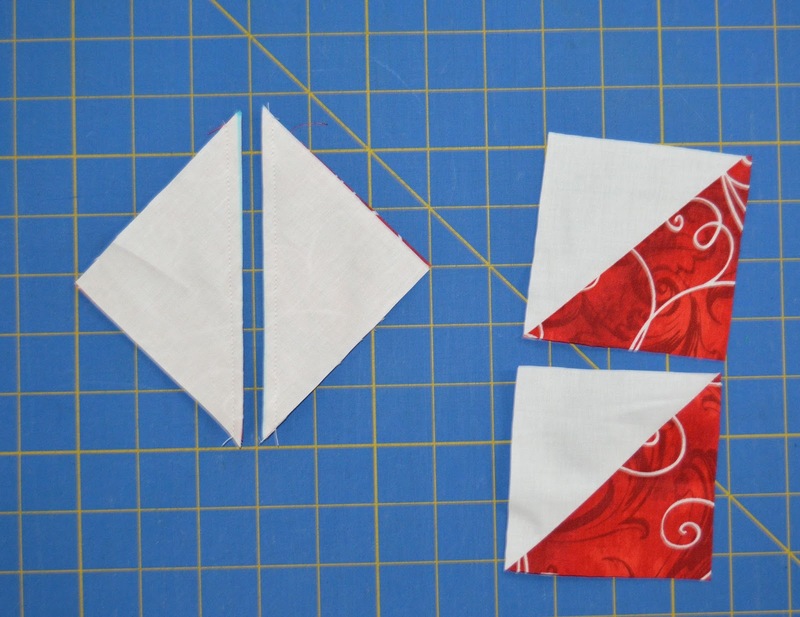 My favorite color combination for Christmas is red and white. Reds and white for holiday combo's. Thank you so much for a great week of inspiration. I love the Joy banner too , especially the striping w/the HSTs...uniquely done! I have enjoyed looking at all of the projects. 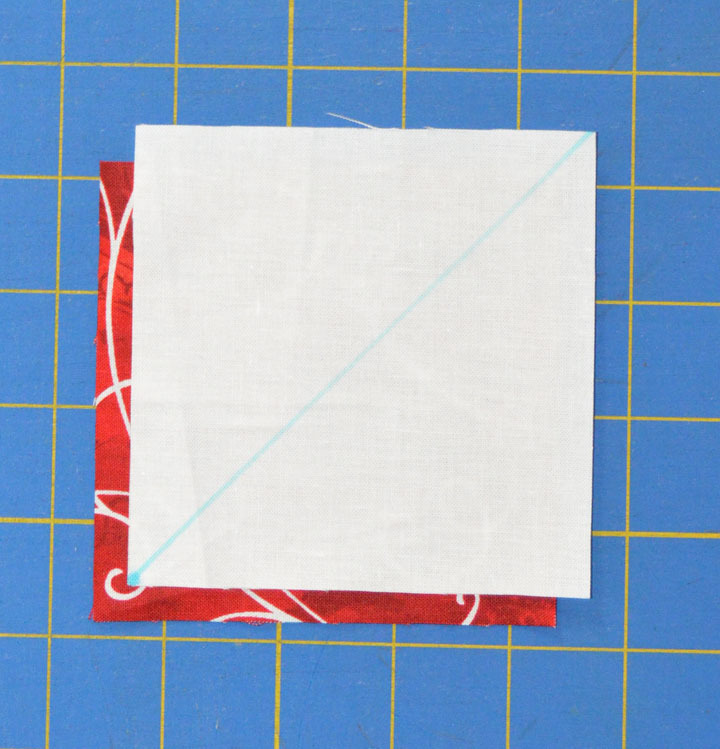 Thank you for providing such cute ideas and the chance to win some of this darling fabric line. My favorite colors to decorate for Christmas is red/green/gold. I love red and green for Christmas! I love the banner. I think I'm going to make some for coworkers for the holiday. I prefer traditional bright red & bright green for Christmas. I really like the burgandy colors for Christmas!